Besides Korean culture, I am a huge fan of Japanese culture as well and even took up Japanese language classes a few years back! 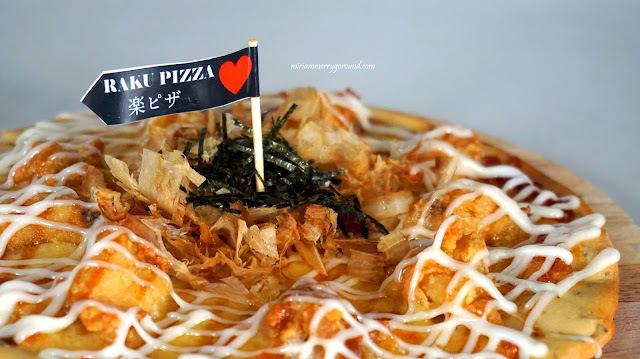 Japanese cuisines are one of my top list of food that I normally crave for and undoubtedly, there are a plenty of good Japanese restaurant in Malaysia. Japanese food which is famous for being one of the most beautiful cuisine is also very much well known for its taste, food ingredients, food preparation and way of eating. With their own traditional Japanese dishes, a lot of them has been adapted to fit the palate of local populace. For instance, we have the Japanese curry, ramen, Japanese burger, Japanese pizza and so on. 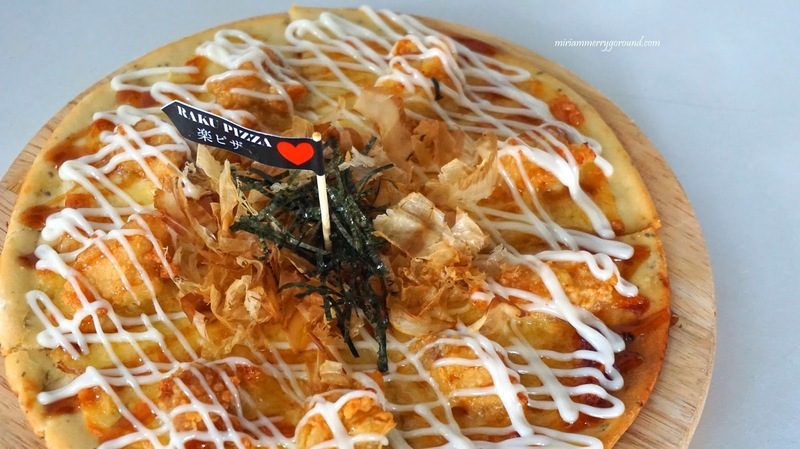 Introducing one of the latest restaurants in town serving unique Japanese pizzas where you can even DIY your own pizza up to your individual preference! 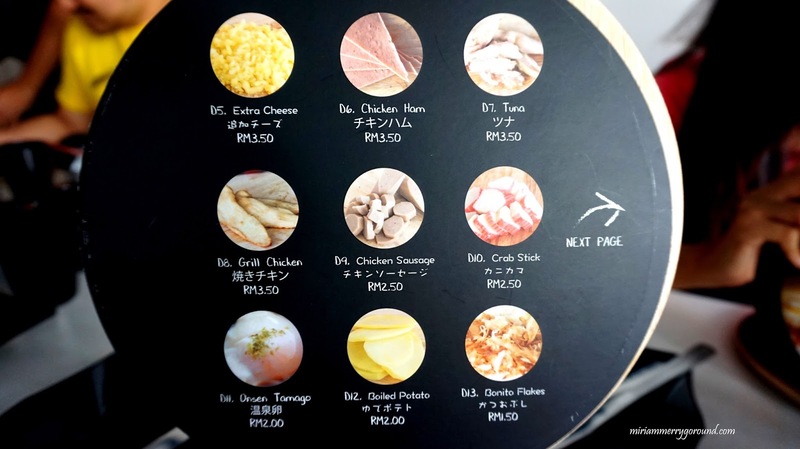 Walking into the restaurant in Subang Jaya, it is a mostly black-white simple yet spacious lot. 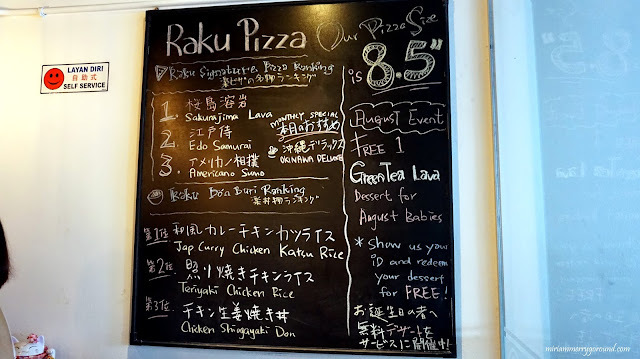 A very big LED signboard can be easily noted out side of the premises which says “ Raku Pizza – Build your own”. 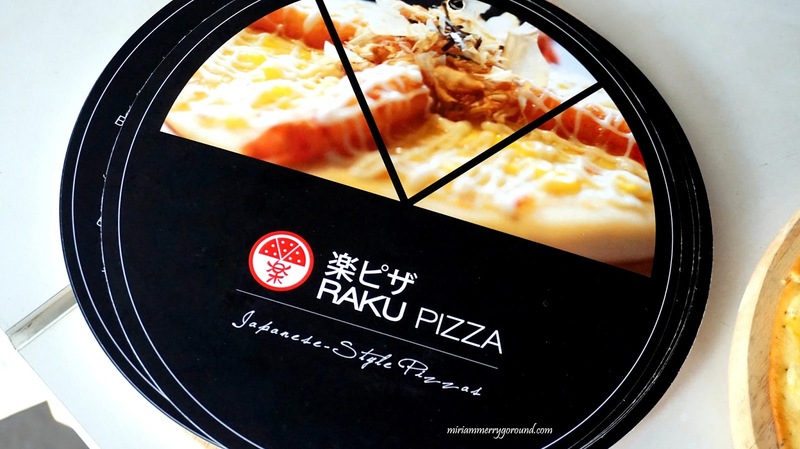 That is also what that makes Raku Pizza interesting in its way. But first let me share with you some of their signature pizzas that first-timers will be interested to try before having a hand at making your own pizza. 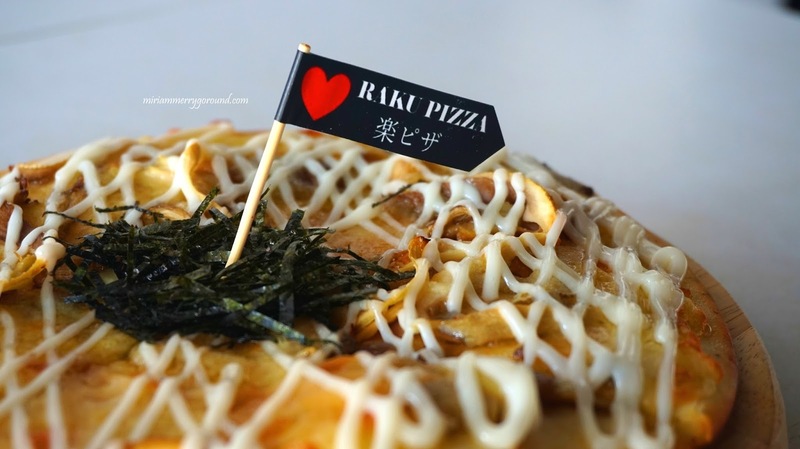 On top of a crispy pizza base we have Teriyaki sauce topped with mushrooms, cheese, shredded seaweed and Japanese Mayo. If you look closer, you will see that the pizza base is a herb base where the dough has been incorporated with several herbs for additional flavour. 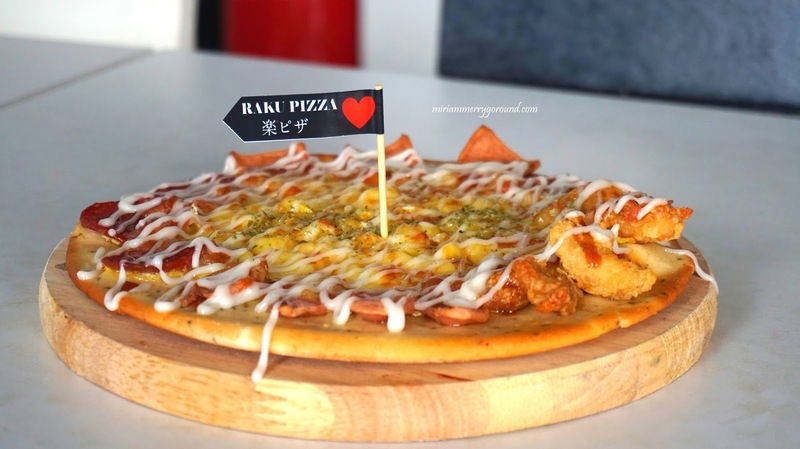 Flavourful and crispy if you are a fan of basic pizzas, you will like this. 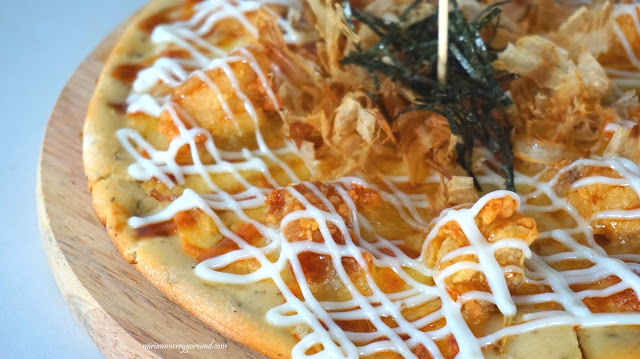 Next we have the Tokyo Delight with Japanese Curry Sauce topped with boiled potatoes, sweet corn, shredded seaweed and mentai mayo. 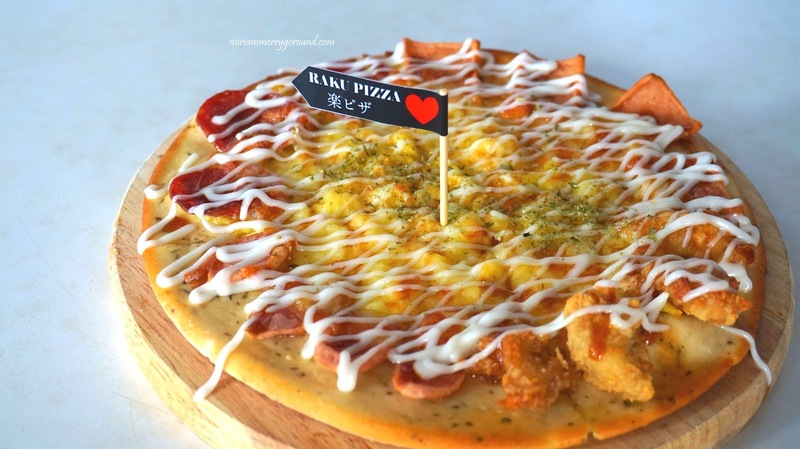 This is definitely a different type of pizza with boiled potatoes and sweet corn for added sweetness. 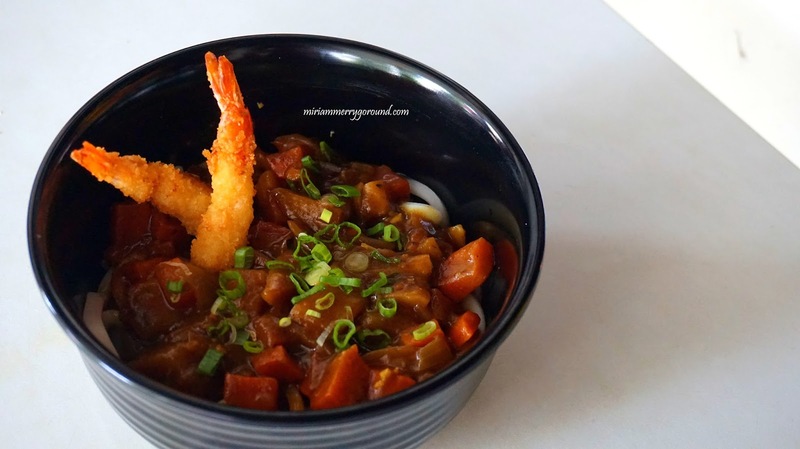 The mentai mayo and Japanese curry sauce takes your tastebuds on a trip to Japan. 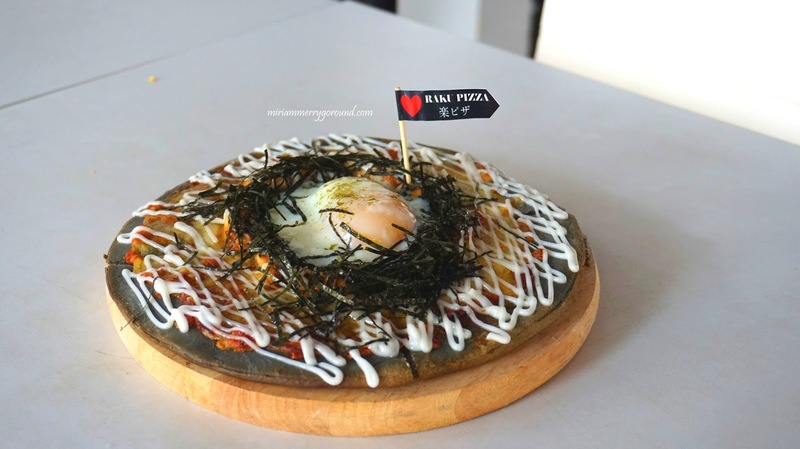 The Fujiyama Sunrise was definitely a delight when it reached the table. 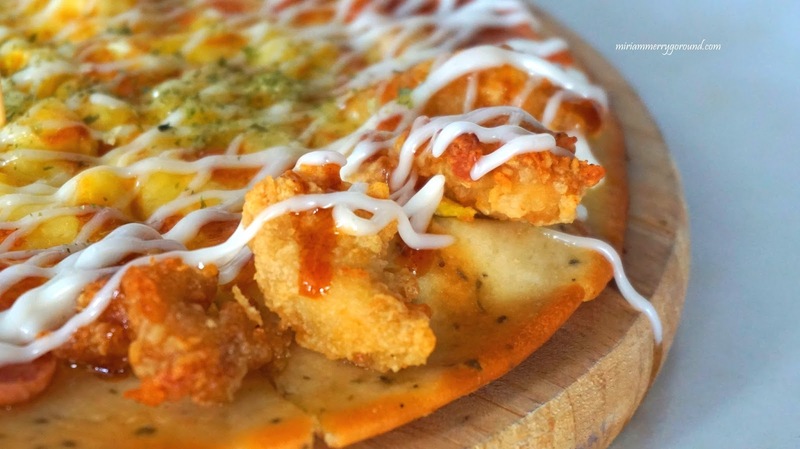 With four different toppings, you can enjoy crispy Karaage Chicken, Chicken Ham, Chicken Sausage and Beef Pepperoni. 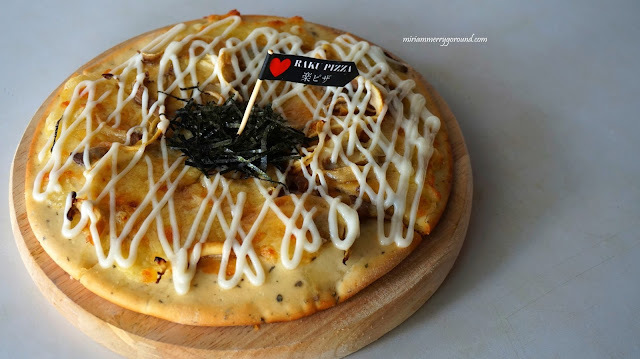 Doesn't this pizza makes your mouth salivate with the the different toppings and that melted cheese? Edo Samurai reminds me of a pizza version of the okonomiyaki with the crispy Karaage chicken, sweet onion, cheese, bonito flakes, shredded seaweed and drizzled with okonomi sauce. 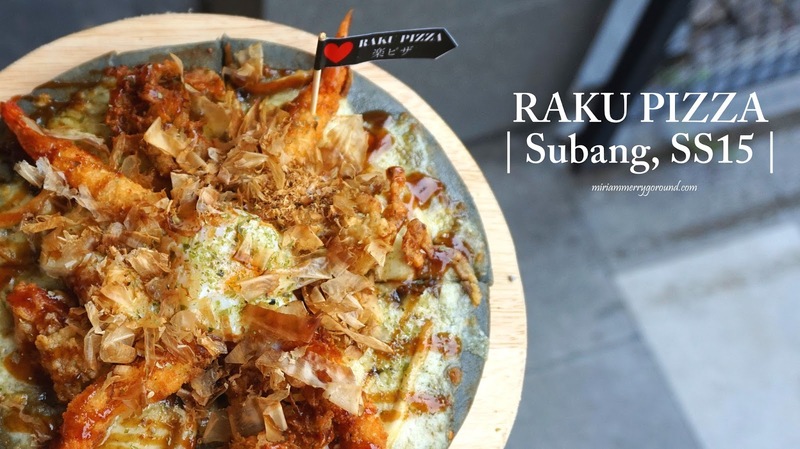 A typical okonomiyaki can be quite fattening but now you can enjoy it at Raku Pizza with the burst of flavour from the bonito flakes. The Sakurajima Lava meets up to its name with that lovely runny poached egg at the centre of the pizza! Our eyes lit up when it arrived at the table and everyone crowded around it. See that pizza crust? Different from other pizzas out there, the Sakurajima Lava has a charcoal dough as the base and teriyaki sauce topped with grilled chicken, sweet onion, onsen tamago, shredded seaweed and Japanese mayo. 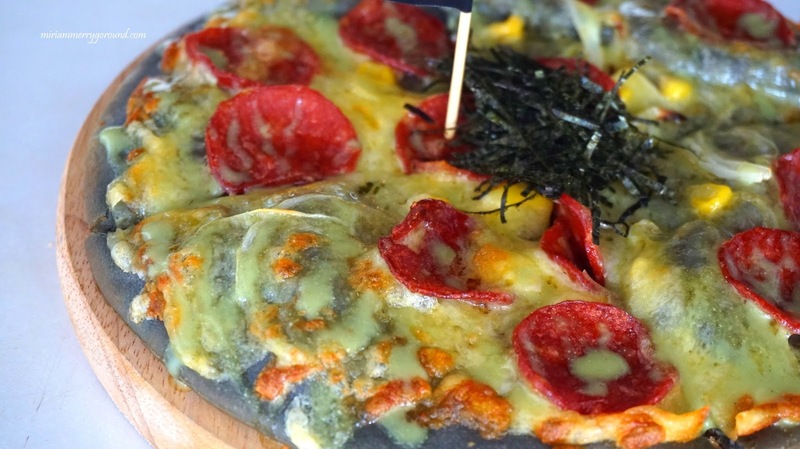 A more Western pizza but still with the touch of Japanese influence, the Americano Sumo is made with charcoal pizza base and Wasabi mayo topped with beef pepperoni, sweet onion, sweet corn, shredded seaweed and cheese. 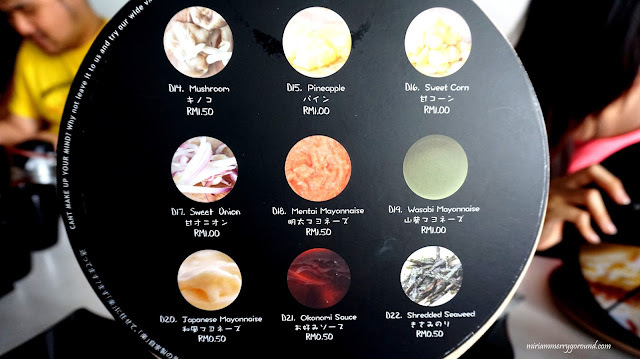 The wasabi mayo was definitely different but no worries because it is not too spicy and still bearable. 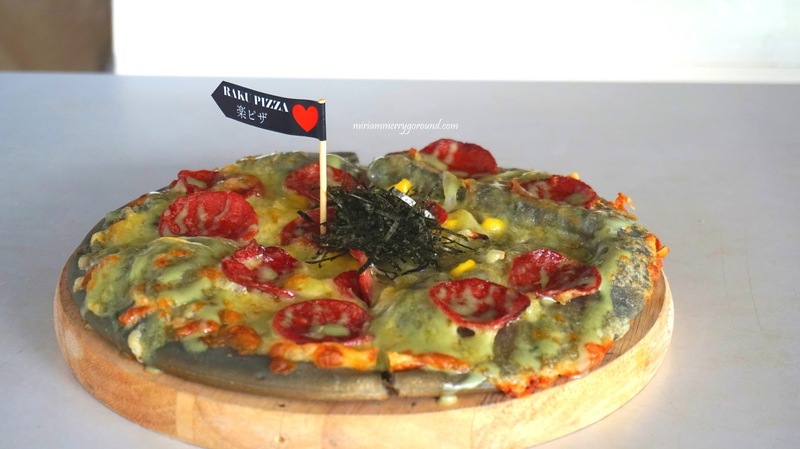 It has the unique taste of the wasabi but not much of the kick thanks to the mayo. For my vegetarian readers, you can opt to try the Aomori Geisha which is a vegetarian selection. 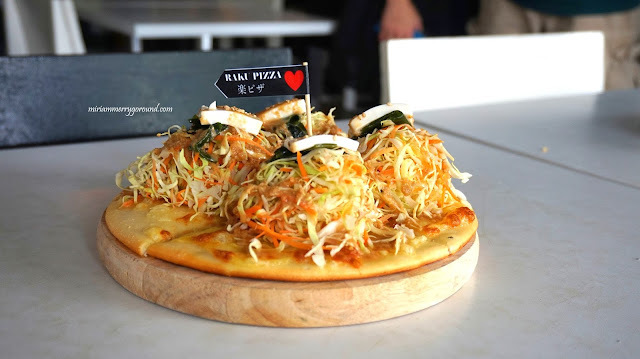 You have mixed salads, wakame, tofu, sesame and cheese drizzled with Yuzu dressing. 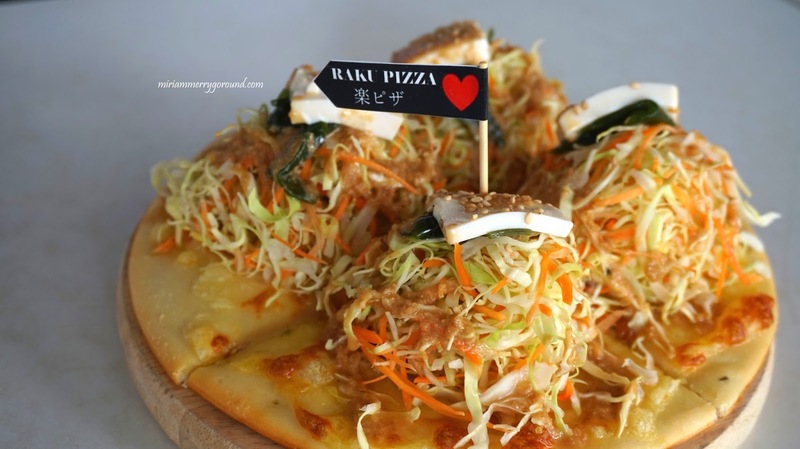 This pizza certainly screams Japanese pizza all the way and is also a healthy alternative to pizza! 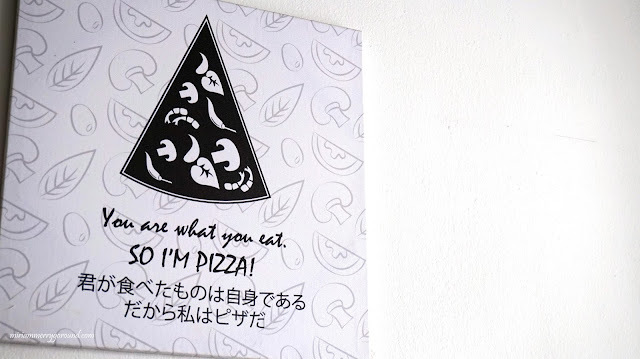 You get your dosage of vegetables and the wakame is definitely a unique topping. 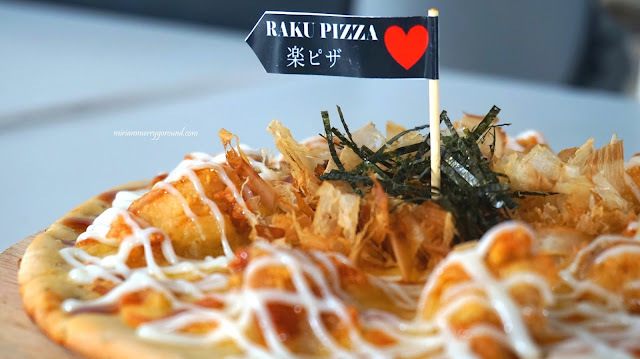 If you come to Raku Pizza but well want to try something other than pizzas *although I wonder why* you can try their other Japanese dishes like the Wafu Curry Prawn Katsu Udon. 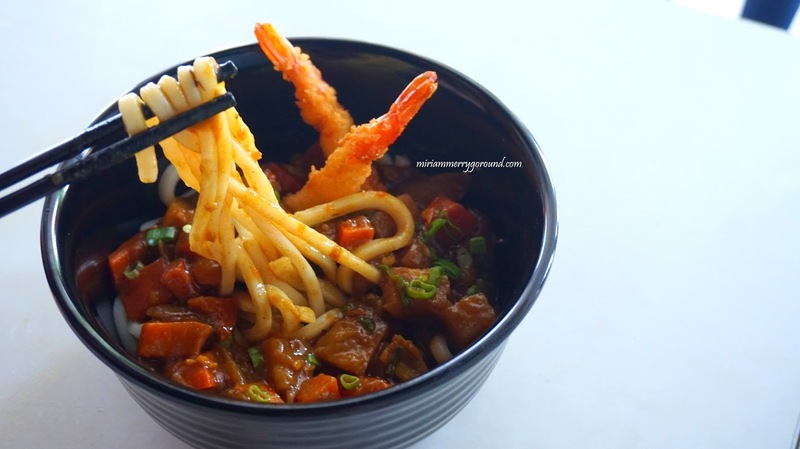 Thick udon noodles served with their Japanese curry sauce and ebi katsu, it was a delight to enjoy. The Japanese curry was fragrant and reminded me of my first experience trying Japanese Curry. The ebi katsu was crispy and battered nicely before deep frying. 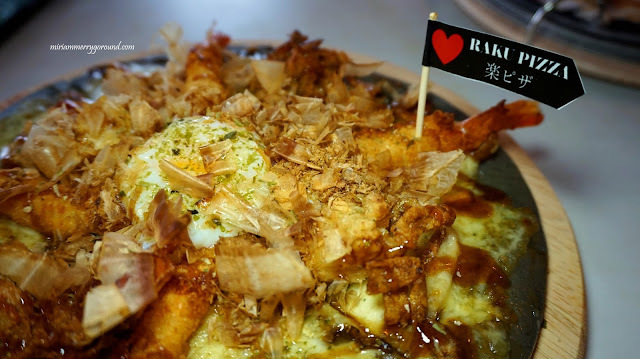 The Tama-toji Chicken Katsu Don is another dish you can try with crispy chicken fillet covered with cooked egg and onion served with their specialty sauce. The chicken still tender and moist plus added flavour from the egg was a delight to enjoy whilst warm. 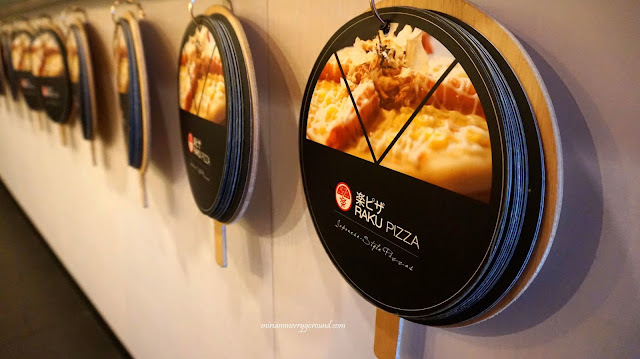 Of course the unique factor of Raku Pizza is their Build Your Own Pizza concept! 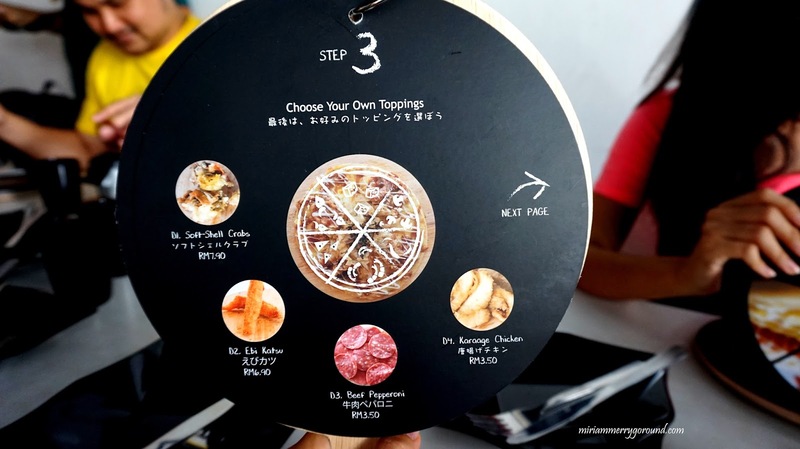 From RM 7.90, you can customize your own pizza starting from the base up to the sauce and topping. The basic price of RM7.90 includes the dough, sauce and cheese while you can add on the toppings of your choice. Choose your preferred pizza base and now let's move on to the next step which is the sauce! At Raku Pizza, you have four (4) different sauces to choose from and all of Japanese influence. 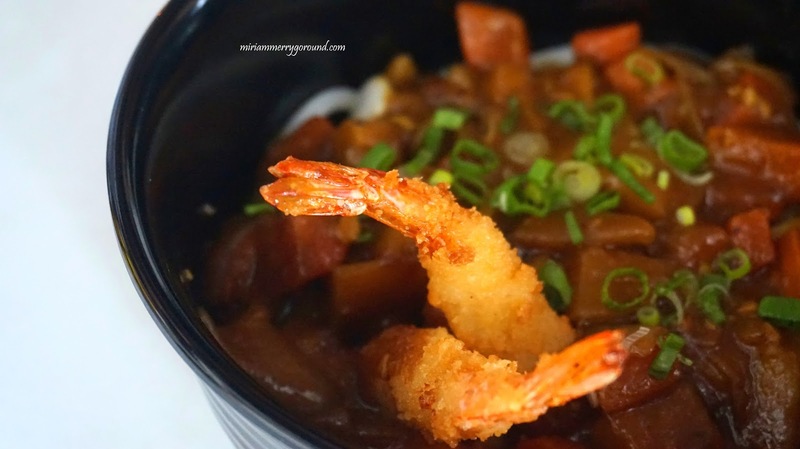 Choose from Japanese Curry, Wasabi Mayo, Teriyaki or even Miso depending on your preference. 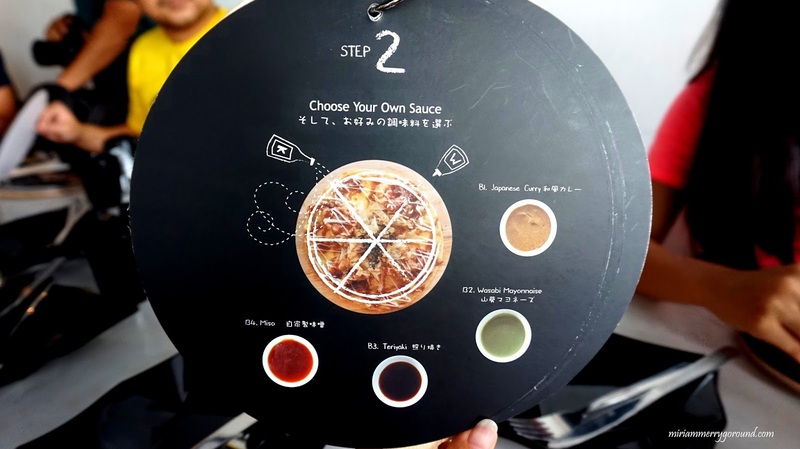 I personally like the Japanese curry and wasabi mayo for it's unique flavour. There are numerous different toppings to choose from so just let your creative juices flow! 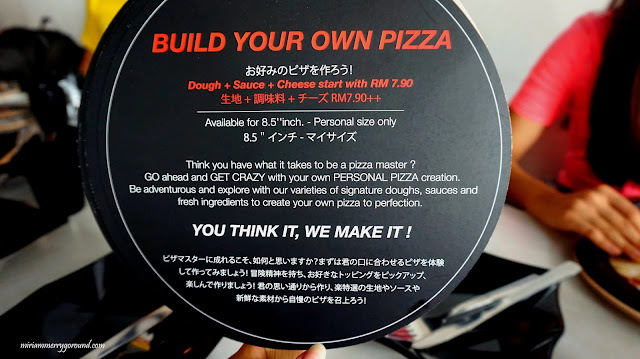 Build the pizza that you desire. So here's the creation that my sister and I customized. The soft shell crab was just so good although I think Japanese curry sauce may be better suited with additional Japanese mayo on top but the bonito flakes definitely added additional flavour to our customized pizza. 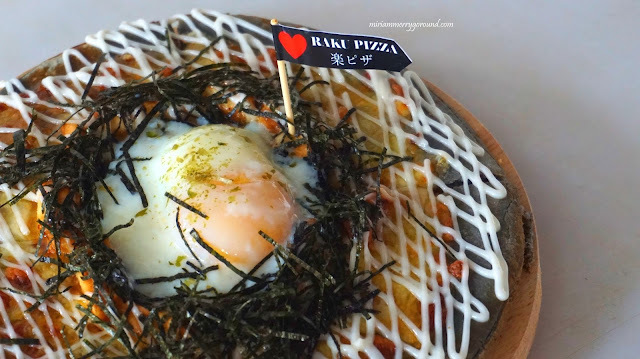 Plus that Onsen Tamago, although slightly overcooked to my liking the egg made the overall pizza more moist and flavourful. For those of you who are interested to build your own pizza, head on to Raku Pizza at Subang SS15. It is located just next to the SS15 Mc Donald for those who are familiar with that area. Only downside to the location has definitely got to be the parking but still SS15 still has some of the best eateries to try! Probably the best pizza I ever had. 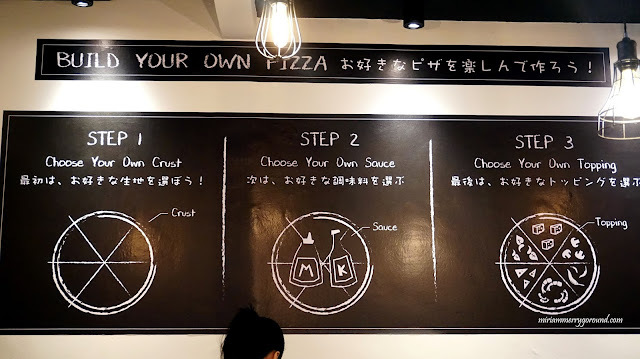 Special n love to build my own pizza. Wow! 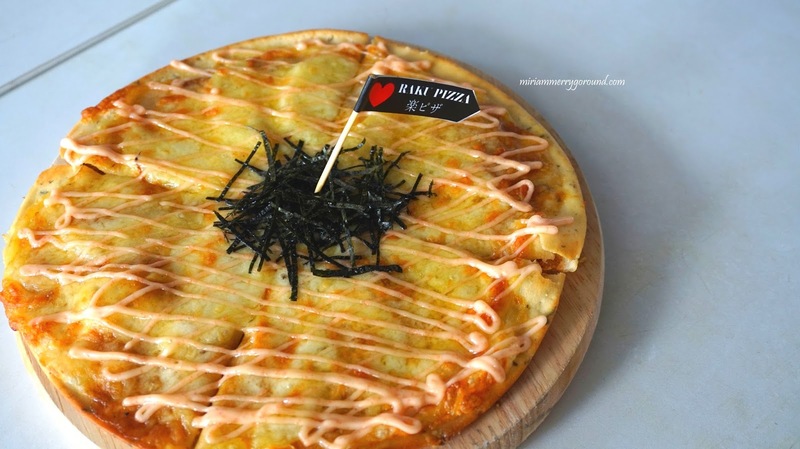 Never heard of Japanese Pizza before. And customizable some more - awesome! 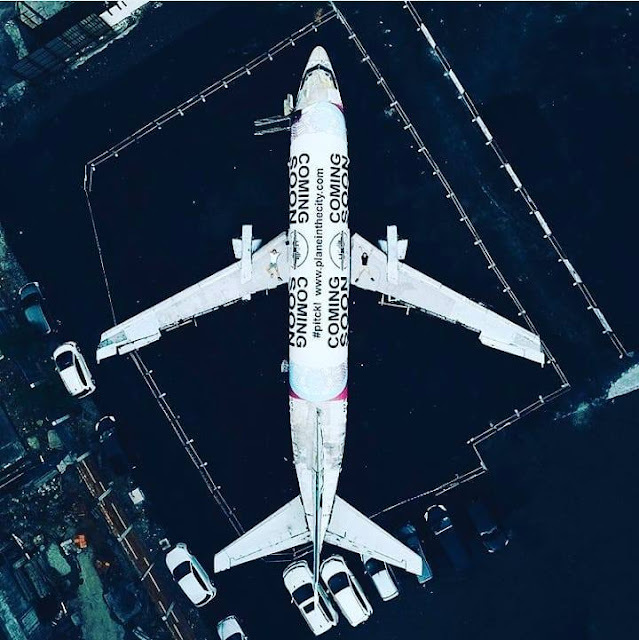 looks so yummy, hope it's easy to find parking there. Sakurajima Lava! make me wanna try that one. Certainly wanna give this a try. Nice to meet you dear! Yes! 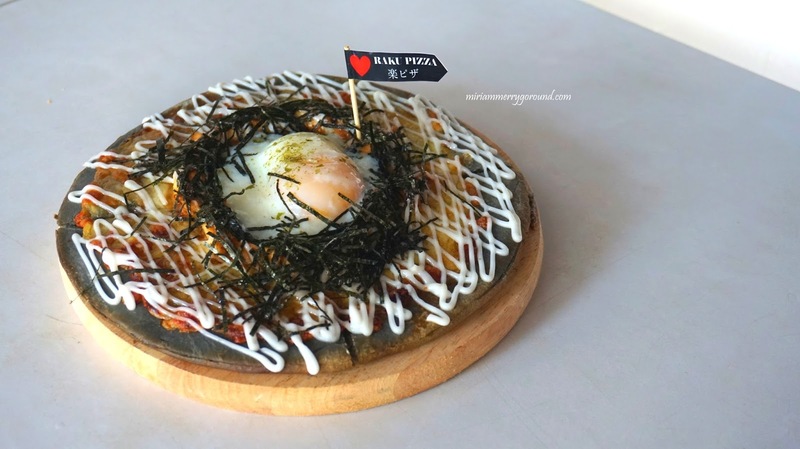 That runny egg is amazing!! I love your post font actually. 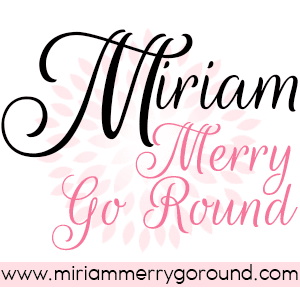 Can I know what font you use? 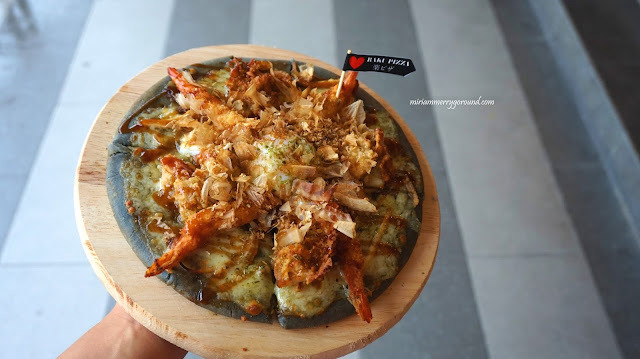 Gosh your pictures are making me so hungry right now even though I just had my dinner. Great stuff! Yes so many different toppings! Going to try with all toppings one day. I was there too for the review! 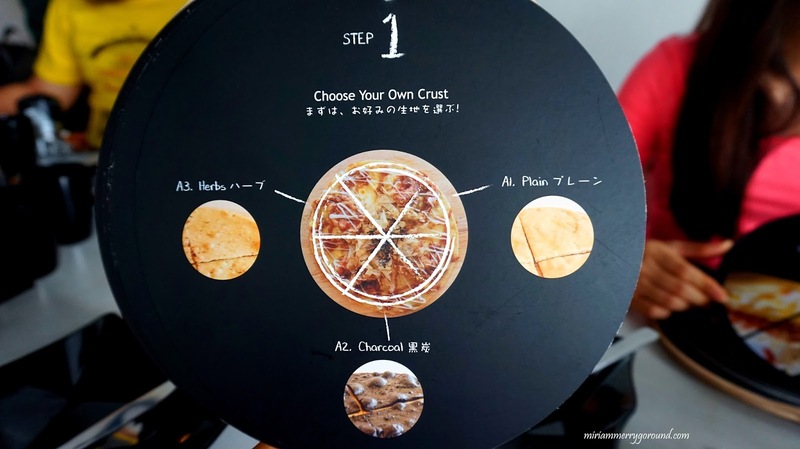 Bet you had a great time enjoying the signatures and your own DIY pizza. 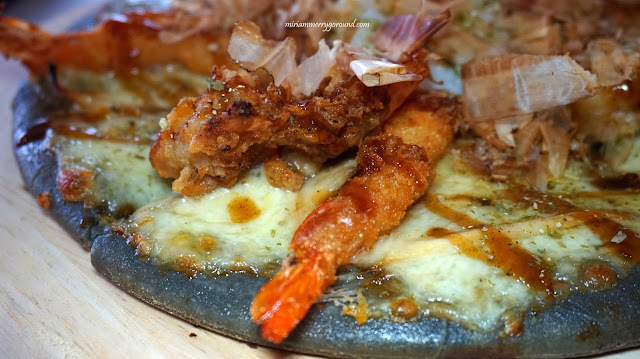 The DIY soft shell crab pizza was my favourite! Tony chopper ! 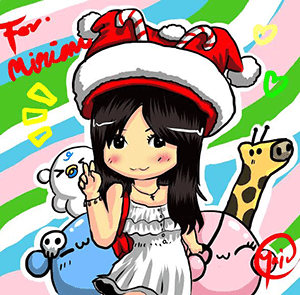 :p my fave character.. hehe . 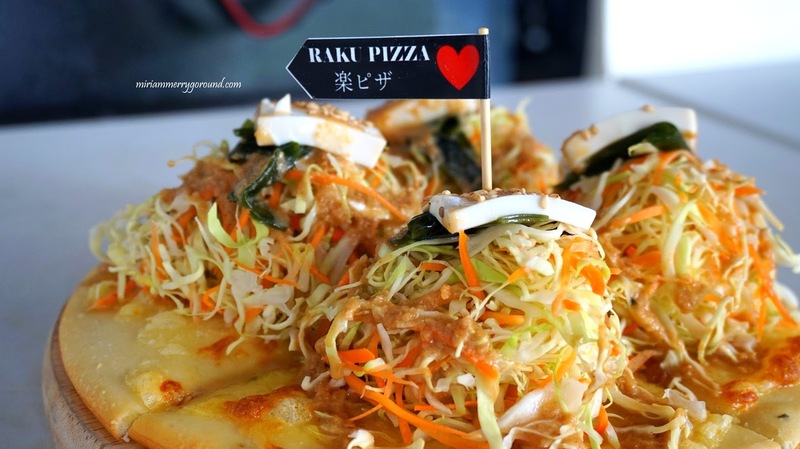 think i need to try this place out, the concept is super nice! Confirm Edo Samurai will be my fav!! 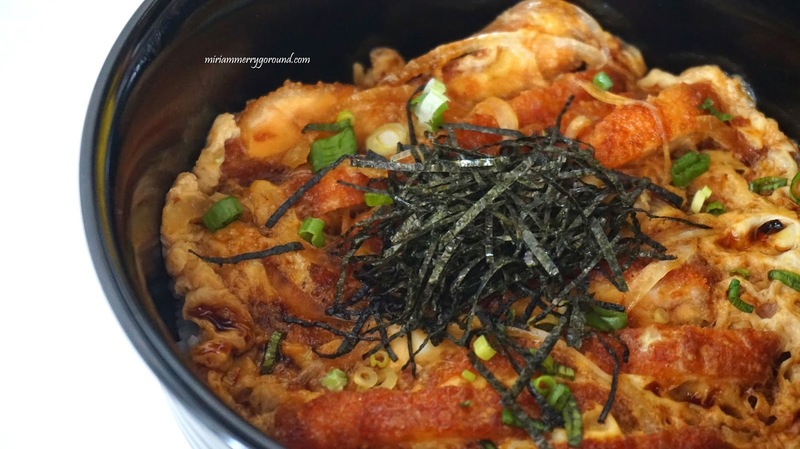 I love okonomi sauce! 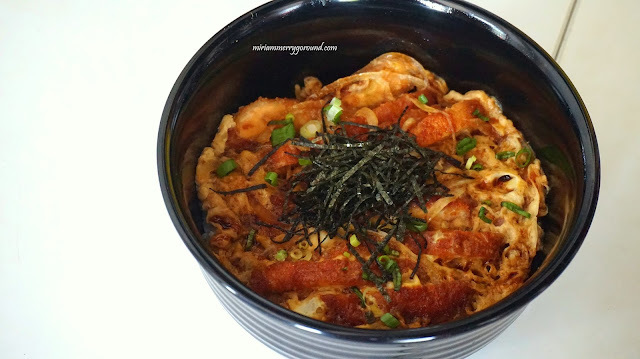 Okonomi sauce is always yummy!! Haha you two so cute la! Rebecca also add so many ingredients! 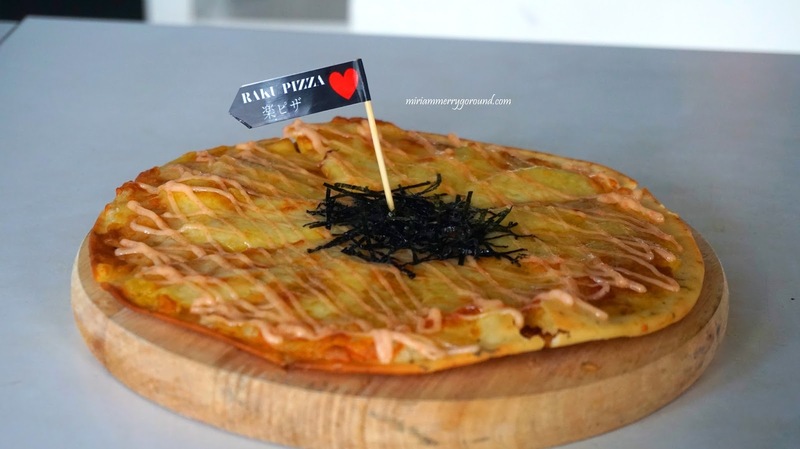 I'm a big fan of Japanise food dont know about characters though. All them food looks delicious!